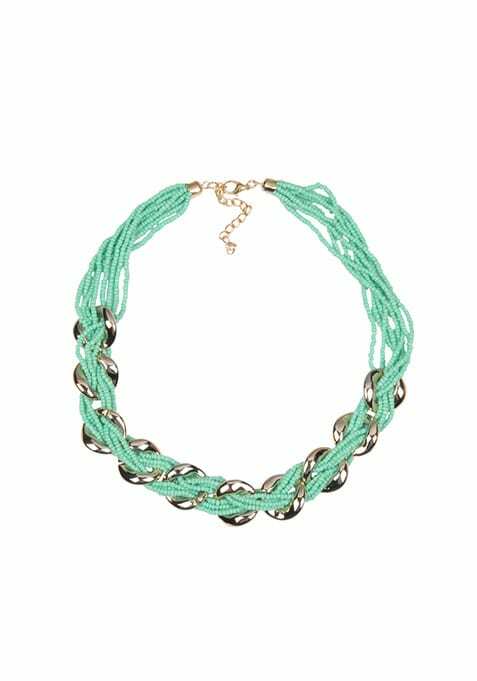 Supremely smart mint multichain beaded necklace with an intertwined gold anchor chain design. Totally funky day time pick! Work It - Looks sweet worn with a graphic tee & shredded denims.